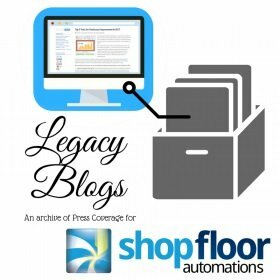 Shop Floor Automations is always grateful to manufacturing trade publications that take the time to publish our press releases on new products, technology or industry news. Here is the 10th installment of our SFA Legacy Blog series, with past instances where we have been published. Fabricating and Metalworking published a piece about our Wi-Fi USB Connect and updates to one of our hot-selling products DataXchange. To further stay in touch with Shop Floor Automations, we would love to chat with anyone on social media about our solutions. We are located on Facebook, Twitter, Instagram, YouTube, and LinkedIn. For more information on solutions from Shop Floor Automations, please contact us here or call (877) 611-5825.